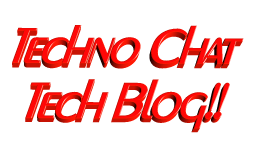 Remove disabled accounts from groups | Techno Chat|Tech Blog!! Cleanup disabled accounts from groups is one of the most boring job, and also take lots of time. Manually it’s almost impossible to maintain. Recently I had a request to perform such task for many groups, so, I wrote a script to do it automatically on behalf of me. I am now sharing this script, hoping this might help you as well. This script will do following task automatically. Get the members of a group. Check every disabled users group memberships. Remove the disabled users from that group. Generate a report with status (success / failure). Keep the report on your desktop. Posted in Admin Tools, PowerShell, Scripts, Server, Windows. Tagged AD Cleanup via PowerShell, Cleaning Up Obsolete User, Disabled accounts in SharePoint, Remove disabled accounts from groups, Remove disabled users from all distribution groups.